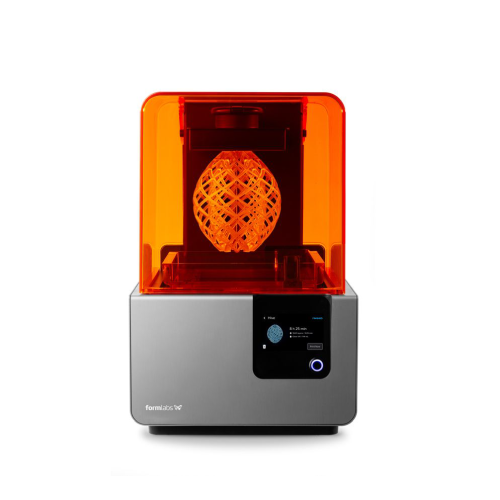 Equipment - 3D Printer: Form 2 — CIC ""
The Form 2 delivers high-resolution parts via stereolithography (SLA) printing. This process uses a laser to cure solid isotropic parts from a liquid photopolymer resin. Software Recommendations: Prepare your files on one of the lab computers using print preparation software Preform.